Gerickes Point on Swartvlei Beach, just outside Sedgefield and about 25 minutes from Knysna, has a unique combination of pros that set it apart. Gerickes gives “rock pools” a whole new meaning. There are, of course, shallow little pools for children to explore. 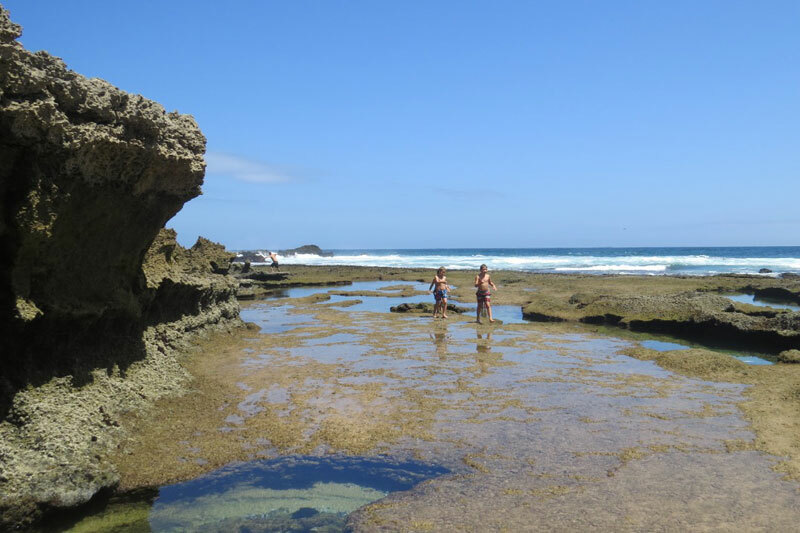 But, at the end of the beach (when walking to the right from the parking lot), where it makes a sharp turn to the wilder side, there are incredible pools that are ideal for snorkelling. The clear water is often warmer in these pools, and there are starfish, puffer fish, crabs, anemones and urchins to discover. Even if you just want to sit on the rocks and dangle your feet in the rock pools, tiny little fish and shrimp come to nibble on you. Some people pay a lot of money for those fishy pedicures in Thailand! There are flat rocky areas around the pools, which are perfect for picnics and sunbathing. More than the photo opportunities these promise, they are fantastic for the whole family. The beach is long, quiet, and absolutely immaculate. White sands are drenched by the warm(ish) waters of the Indian Ocean. 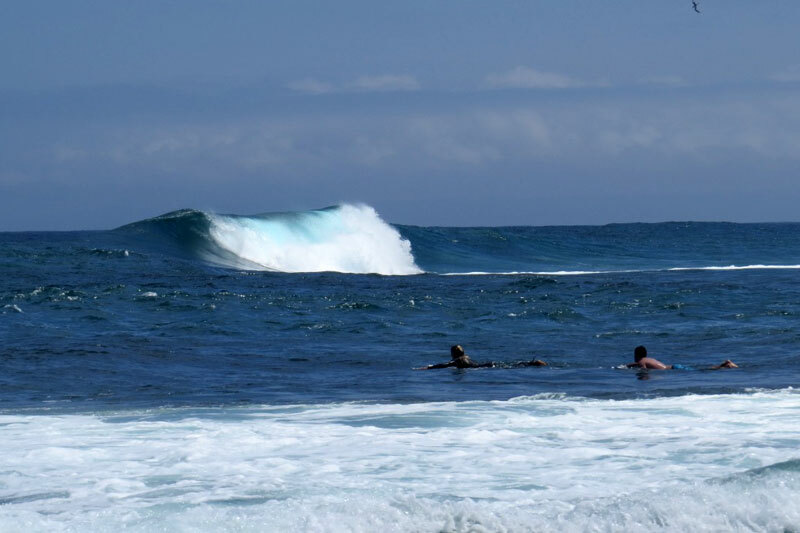 Little ones can play in the shallows, while kite-surfers and surfers may opt to head into the waves. Fossil dunes and rocky mountains flank the beach. There is an impressive sandstone formation at the tip too, right on the edge of the water. It’s easy enough to climb up and, from the top, there are seriously impressive views of the coast as far as the eye can see. This is selfie heaven. 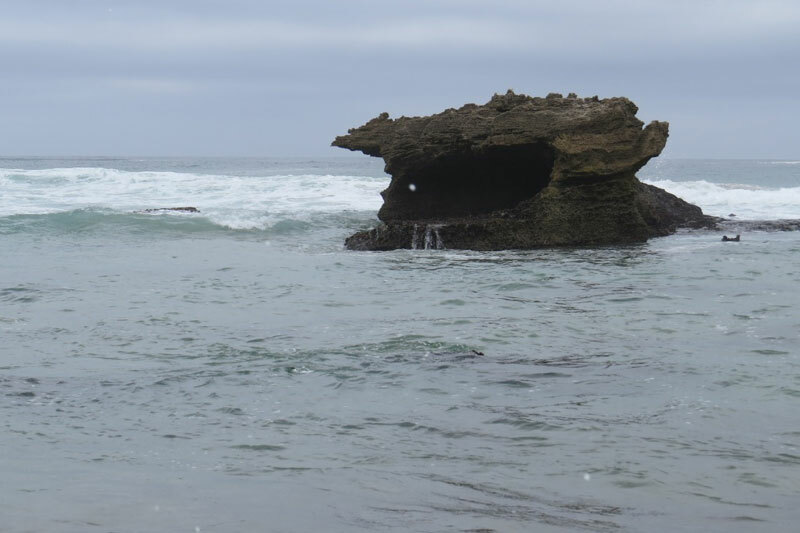 Below, you can see the rock pools and waves from a different perspective, while seagulls and other marine birds soar around you. In the distance, you could spot the dolphins and, between July and December, some whales. The best time to visit Gerickes Point is when the tide is going out. 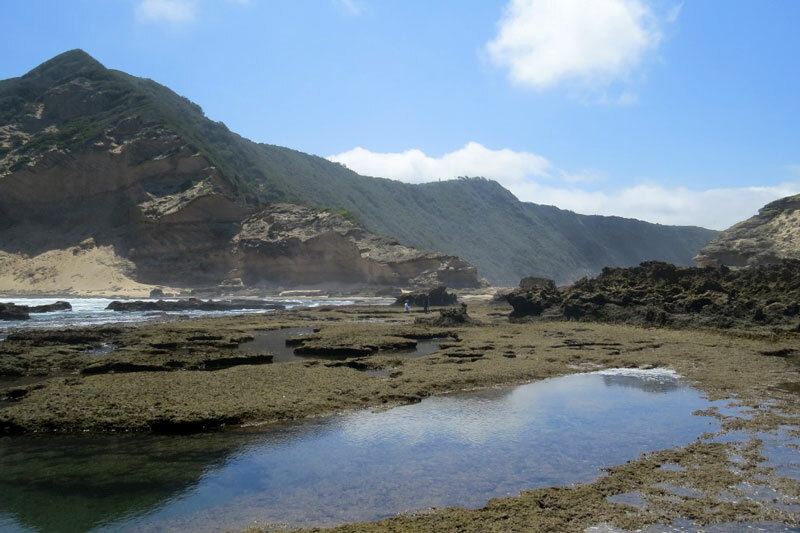 This is when the rock pools are more accessible (and not hidden under the higher waters). This is also a safer time to avoid getting caught in a spot as the tide comes in. Otherwise, you’re in for a very long wait. ‘Roughing it’ is all fun and games until it means being far away from clean water and a toilet. Gerickes is just enough ‘roughing it’ for adventurers, and just enough ‘convenient facilities’ for the rest of us. There are toilets, and an outside shower to get rid of the salt and sand before climbing into your car, which is parked right at the beach in a small (but adequate) tarred parking area. 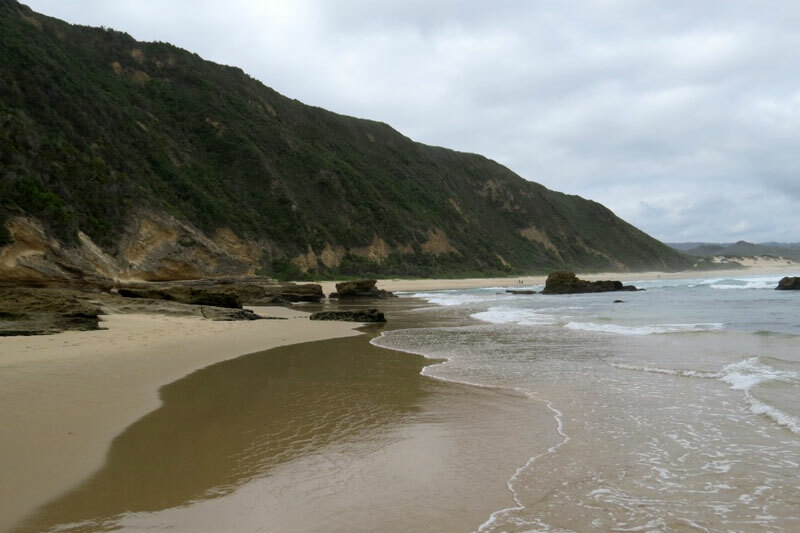 The “Slow Town” of Sedgefield and its magnificent Myoli Beach are just five minutes from Gerickes. Knysna is about 20 minutes away to the east, while Wilderness and George are about 15 to 20 minutes away to the west. This B & B is perched right on the coast in Sedgefield, with pretty views of Cola Beach and its sand dunes. It’s the perfect spot to unwind, watch the sunset, and enjoy the friendly hospitality of the hosts. 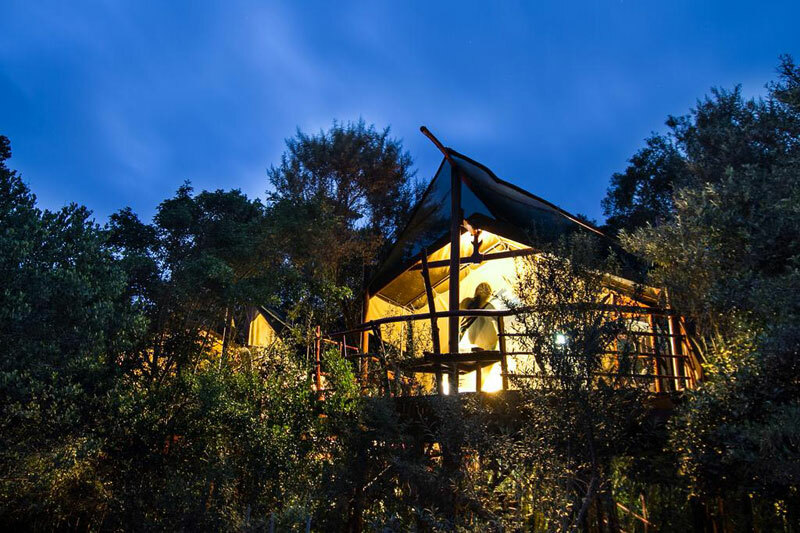 It’s hard to beat luxurious tented tree houses for a magical experience with a difference. 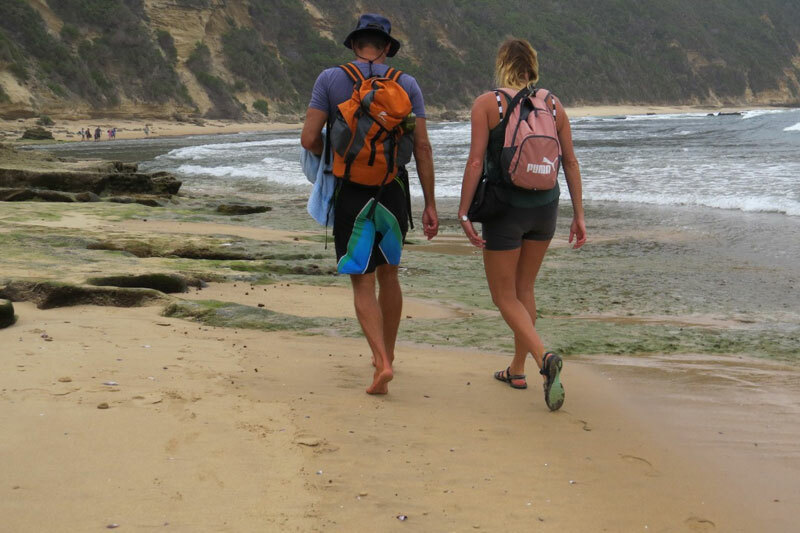 This eco-friendly accommodation is perfect for visitors that want a total escape from city life that is still conveniently situated on the Garden Route. Choose between the luxury cottages or the manor house on this guest farm, just 15km from Sedgefield. This estate is all about the peace and tranquillity of the countryside, a perfect Garden Route getaway. To get to Gerickes from the N2 is very easy. If you’re heading towards Cape Town (west), go through the town of Sedgefield. Then, just after the bridge over Swartvlei, take the first turn left. You’ll pass the golfers doing their thing on your left, followed by a camp ground. 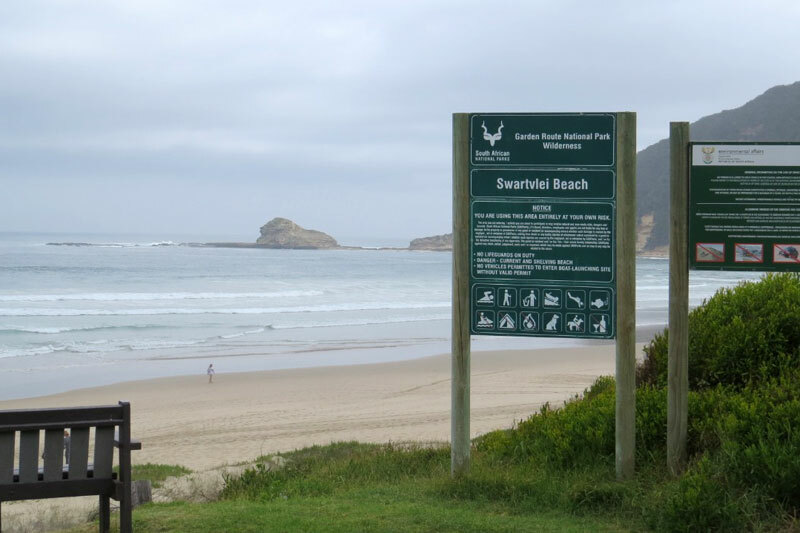 After about 2km, you’ll reach the parking lot of the Swartvlei Beach, where you start your walk to Gerickes Point. From your car to the point is about 1.6km.